Filed under Mobility Solutions, Mobile Business Apps, Mobile Solutions, Mobile Commerce, phone app development, mobile app developer, mobile application developer, Enterprise Mobile App, Mobile Application Management, Mobile Marketing, Mobile Commerce, custom mobile apps, Retail Mobile App, Retail Shopping App, mobile retail applications. Techwuli has been developing Mobile Apps before mobile commerce was mainstream. Our clients have been coming to us for years to build custom “take everywhere technology”, now known as mobile application solutions. Investment banking companies can’t afford to miss a beat, system administrators need to know when and where there is a misfire in their system before a big breakdown happens, big commerce retailers need to continually engage with their customers to drive traffic to their businesses; and they all need to be fully functional whenever and wherever they go, 24/7. PCs have flat lined whereas Smart devices are growing by the millions. Last year alone, almost 1 billion smart phones were shipped globally. Tablets are cannibalizing PCs and the demand for Phablets is skyrocketing in China. People spend more time on mobile technologies than any other. Over 1/5 of internet traffic is now from mobile. The usage of apps has gone way beyond texting. Mobile video is booming. There are over a billion pictures shared each day. The growth for new communication apps like Instagram and Snapchat is staggering. Social and music is predominantly mobile. Mobile is now 25% of e-commerce. Mobile is driving all of Facebook's revenue growth. The world is on the move and nothing is going to slow us down! Today, there is an app for everything. Mobile apps are the ubiquitous “easy button”. Thanks to mobile solutions, we can now have the whole world in our hands, literally. Native apps offer users far more flexibility and features than websites. Today your company must have both, a mobile website and a mobile app to stay competitive. It's very clear that businesses need to stay agile if they want to compete. If you're business isn't mobile, you're putting it at risk. There are four key reasons to adopt mobile solutions for your business; customer engagement, customer service & support, promotion, and to sell products and services to customers on the go. Our team is fervent when it comes to mobile apps. Our talented mobile app development team is comprised of dynamic thinkers, doers, and users. Empowered by our advanced technology skills, years of in-depth experience, deep industry knowledge working with the investment banking, energy, retail, manufacturing, B2B, B2C and B2E sectors, Techwuli brings a high level of expertise to the table. Techwuli will help you navigate the unchartered mobile commerce world. We are armed with the expertise and talent to help you define your mobile strategy and accomplish your mobile goals and objectives with minimal investment. In your daily life how many times do you find yourself thinking "I wish there was an app for that?" 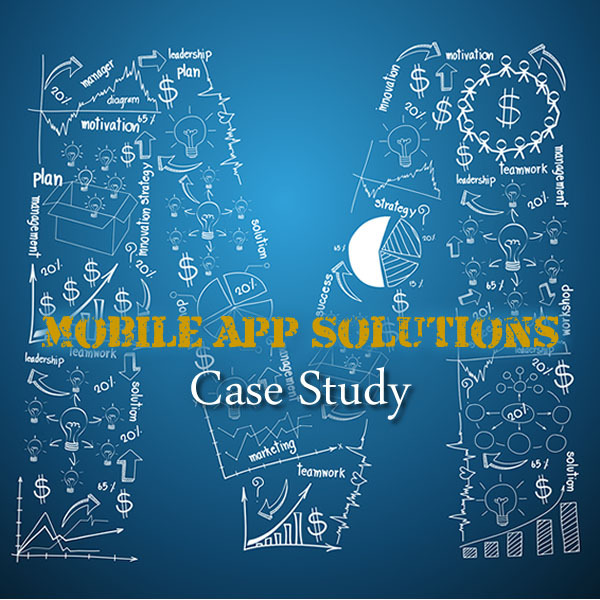 How would a mobile app transform your daily life or your business? Does your business currently have an app? Does your business or personal life require a mobile app? If you could invent your dream mobile app what would it do? Techwuli is the innovative mobile app developer that can get you started! Appify Your Business & Your Life!